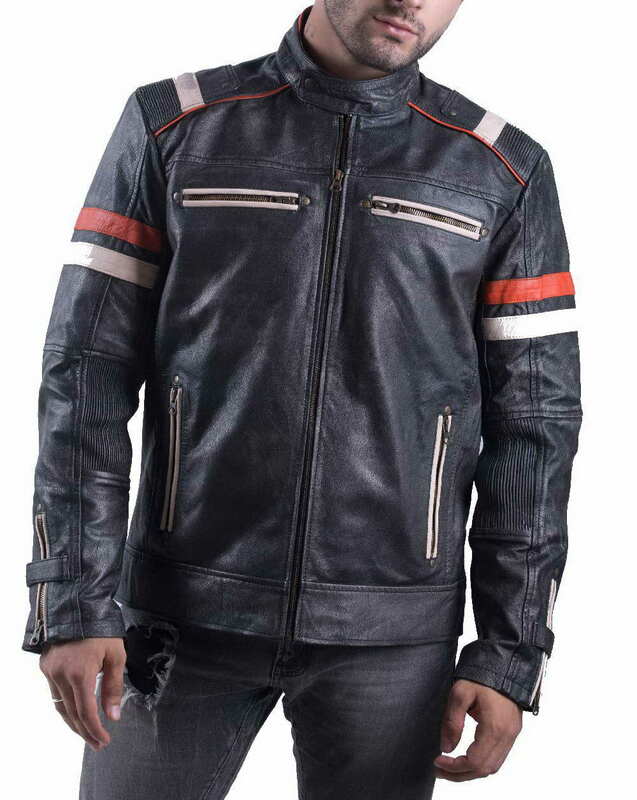 Crafted from real distressed lamb leather makes it an essential wardrobe for bikers. 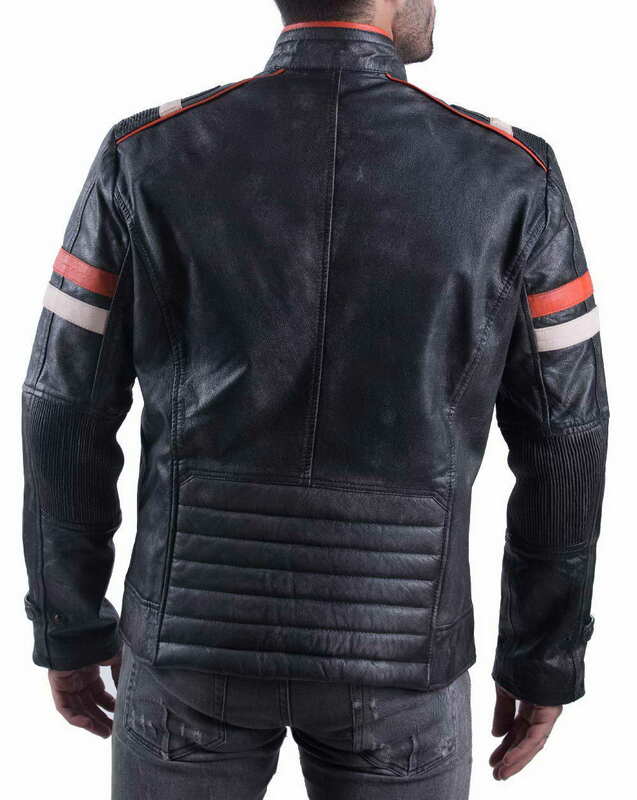 The cafe racer Retro Leather Biker jacket features distressed tonality and serves vintage vibe with its colors and rugged outlines. 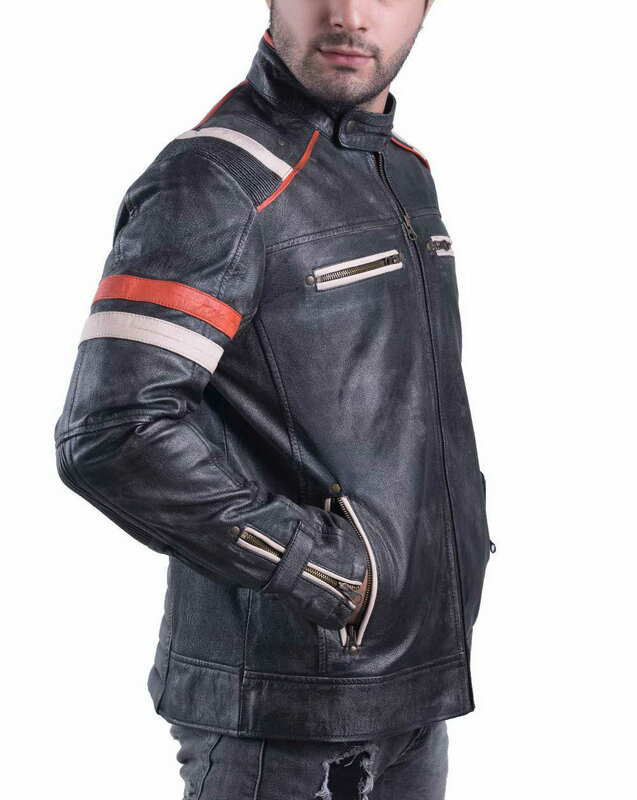 With an amazing sophistication of casual jacket, it is given a sporty touch by paneling red and white stripes on arms. 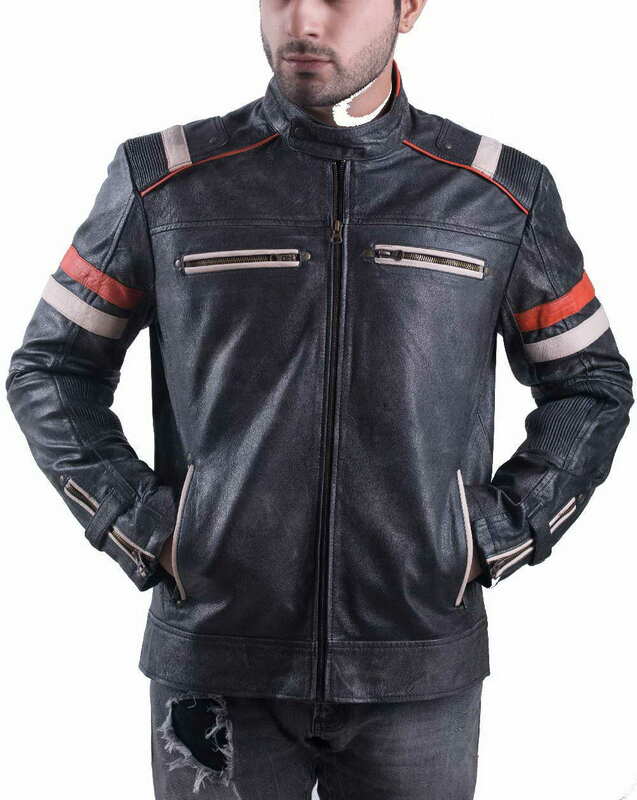 Two Zipper pockets on chest and two verticals waist pockets are truly functional for bikers. 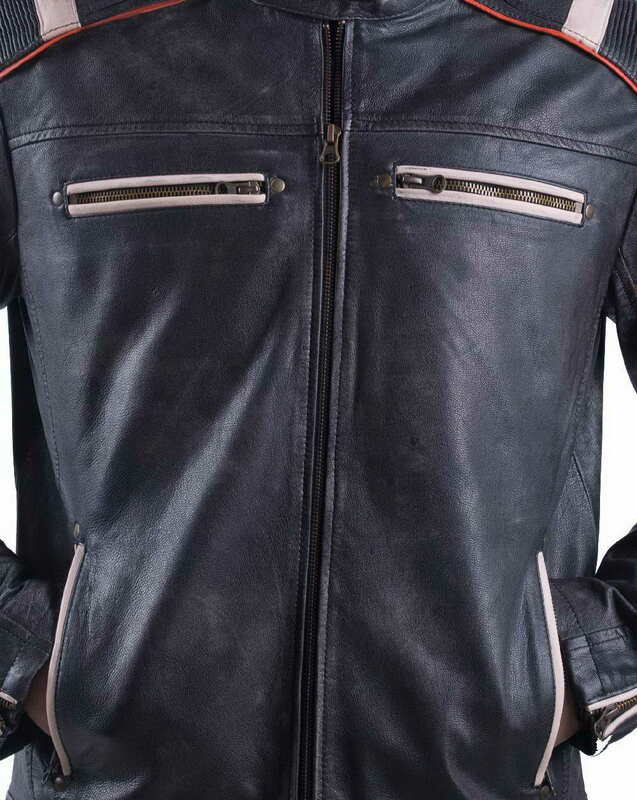 Metallic YKK zipper closure goes up to the stand-up collars. 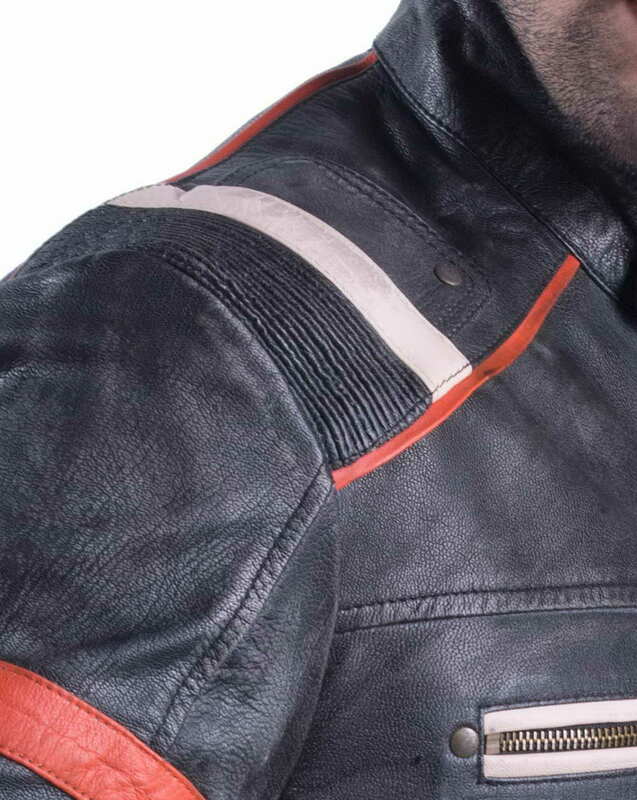 Having an extra tab button on collar for the wrapped experience. 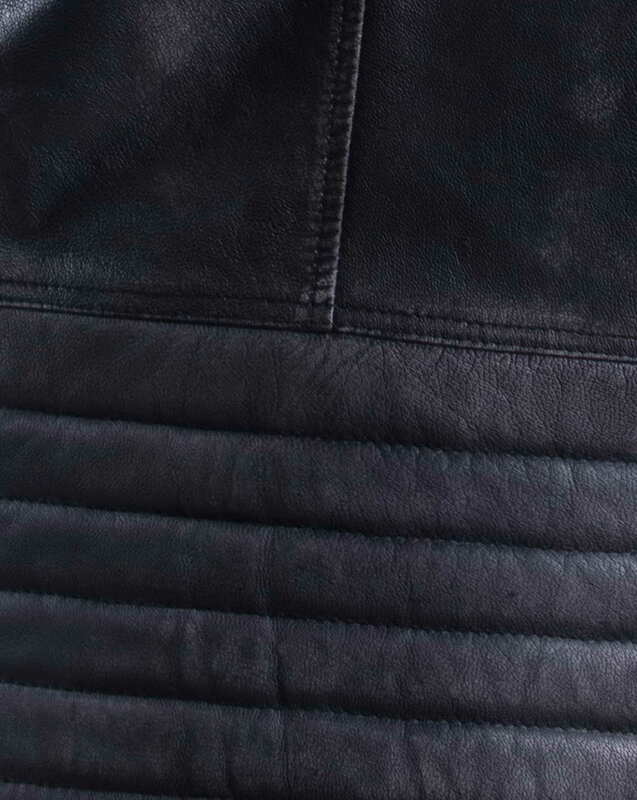 Inner is entirely quilted with viscose linings for a balmy sensation in the winter hangouts.